From our house at Collalto, we can see the towns of Montalcino (the home of world-famous Brunello) and Montepulciano (home to Vino Nobile di Montepulciano). 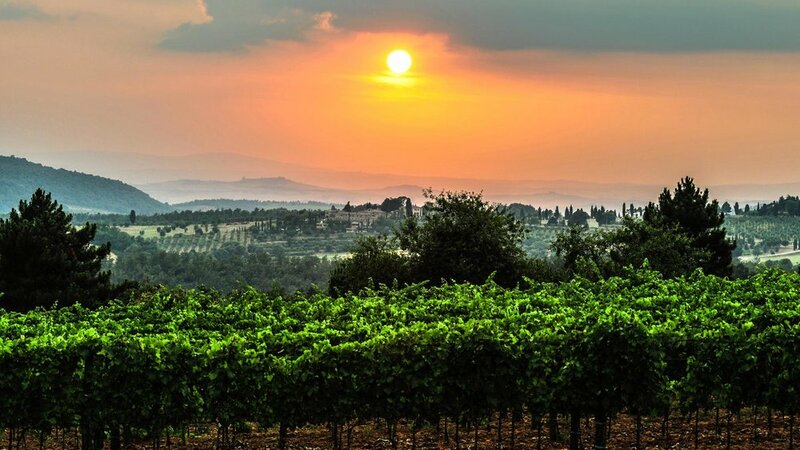 Fantastic Chianti Classico is produced just 20 minutes away. 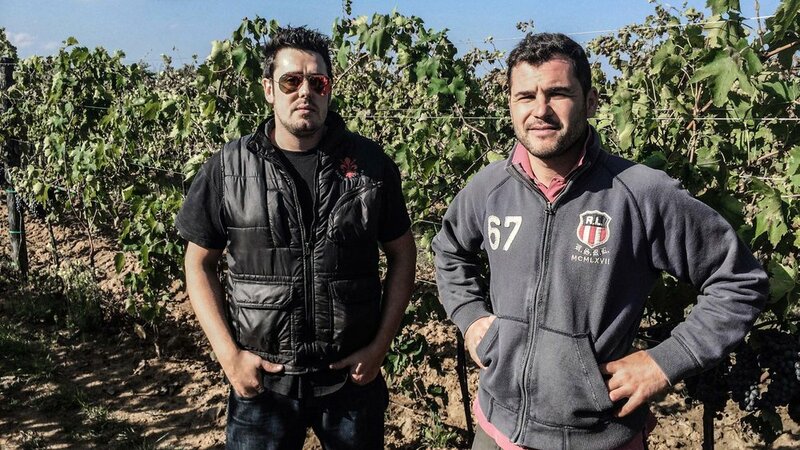 Therefore, we felt that the climate and soil should be conducive to producing an excellent wine. The vendemmia (grape harvest time) is a magical time in Tuscany, when vines loaded with ripe grapes blanket the countryside. The weather is often sunny and warm, and the entire region hums with frenetic activity. This combination of climate, terroir and attention to detail allow us to produce a wine of the highest quality that you are sure to enjoy. Online, directly from us by clicking here! DOCG (Denominazione di Origine Controllata e Garantita), DOC (Denominazione di Origine Controllata) or IGT (Indicazione Geografica Tipica). There are 74 DOCG wines in Italy and 329 DOC wines. 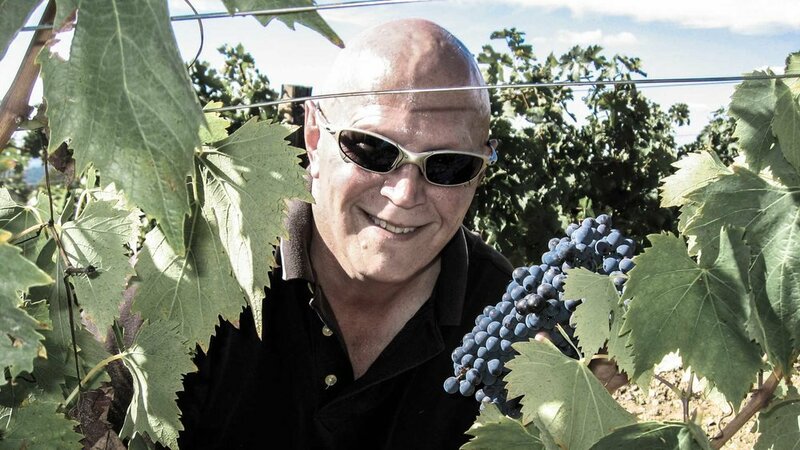 These are defined by discrete geographic zones and can only contain certain grape varieties. 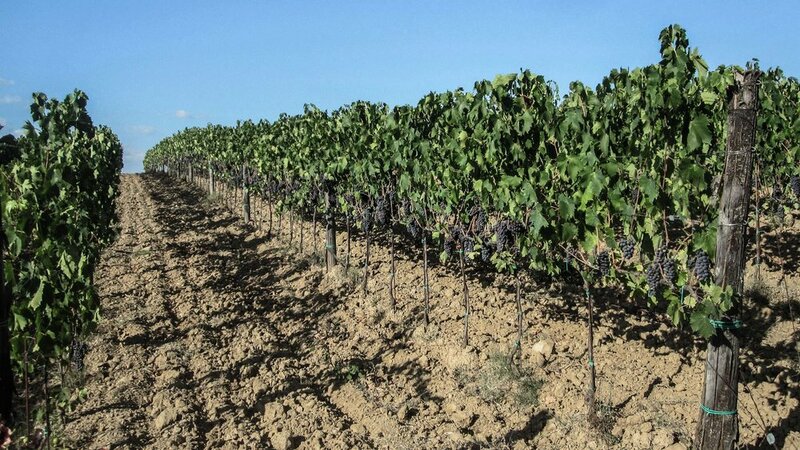 IGT wines are classified by the region of origin but do not have to adhere to the grape variety restrictions mandated by DOCG and DOC controls. 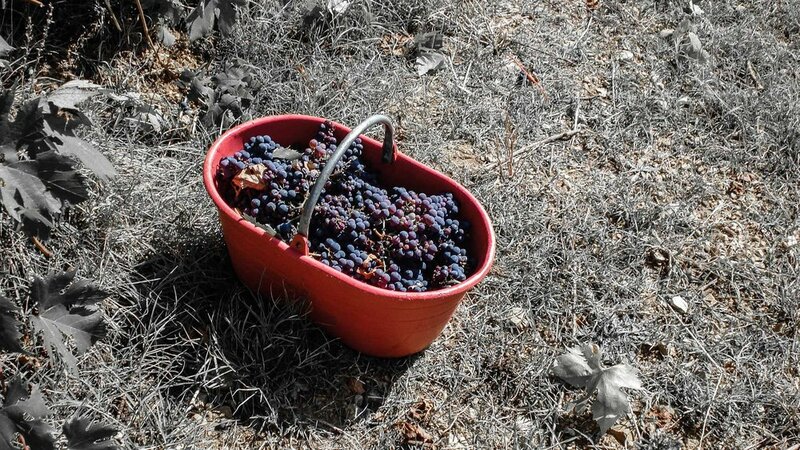 This freedom gives the wine producer to use any grape varieties in any combination. Just as mongrel dogs can be as pleasing as a purebred, these IGT wines can be superb. The most celebrated “Super Tuscan” wines of Italy are all IGT wines. 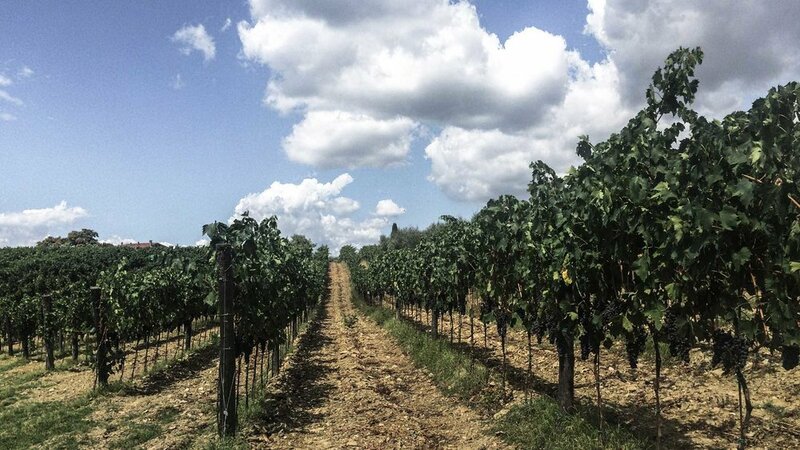 We started with a half hectare parcel (1.2 acres) of DOCG, Chianti zone. 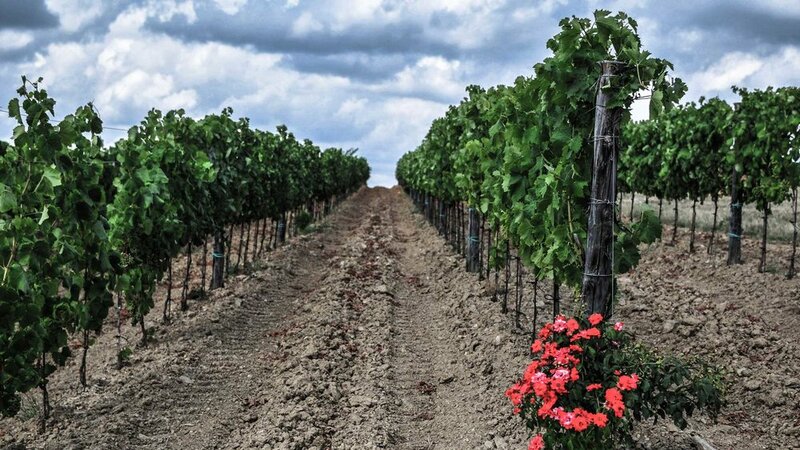 However, instead of planting primarily Sangiovese, we decided to produce an IGT blend of Sangiovese, Cabernet and Merlot. The vineyard expansion, now 9 hectares total (22 acres) also includes Syrah, Petit Verdot and Canaiolo, an old Tuscan variety. 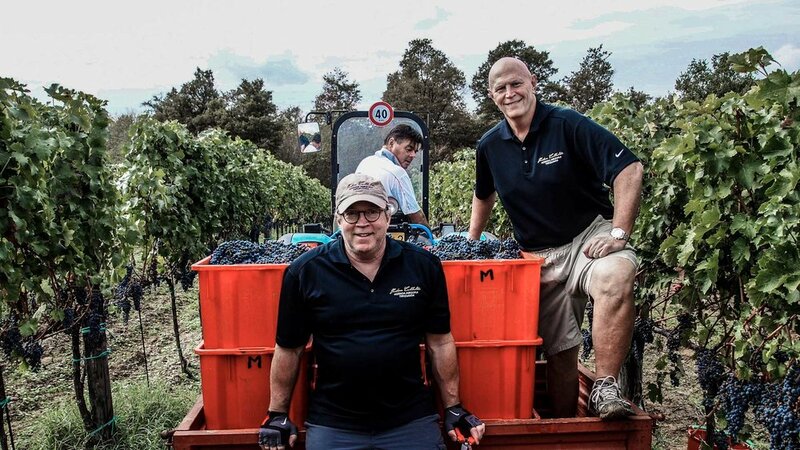 We have also acquired several 40-year-old neighboring vineyards to add more complexity to our wines. White grapes were planted to be used for Vin Santo, the famous Tuscan dessert wine. 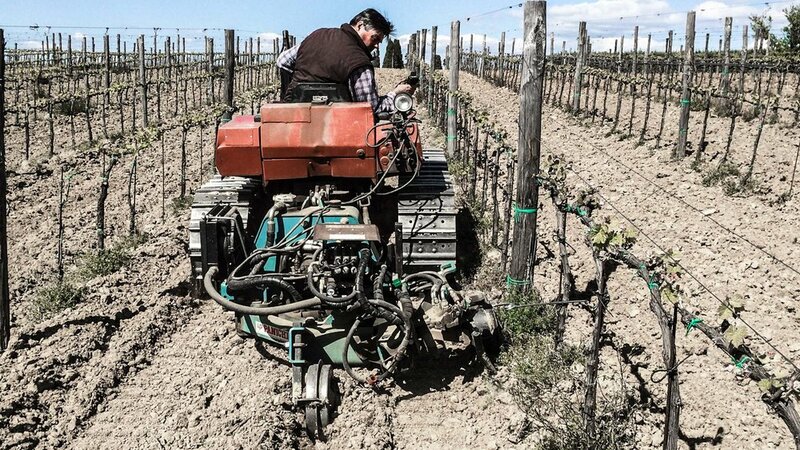 In cooperation with our enologist, we decided to employ more scientific techniques rather than the old Tuscan methods. A careful analysis of sugar content, acidity and pH are used to select the best time for harvest. The grapes are “coaxed” off the stems to permit whole-berry fermentation. We use temperature control and a “cold soak” for the first 48 hours to extract more color and flavor before the fermentation begins. Following the completion of malolactic fermentation, some wines are aged in medium-toast French barrels or large Slavonian oak botte for 12 to 24 months. Maturation : sangiovese aged for 1 year in steel tank (80%) and Slavonian oak 1000 Lt. cask (20%) to preserve the fresh fruit flavors, syrah merlot and cabernet aged for 1 year in new (20%) and old (80%) French oak barrels. Maturation : the wines are aged separately in new French oak barrels (40%) and used barrels (60%) for 2 years. Blending occurs one month before bottling.